Fantasy becomes reality when young Billy Batson lives the dream and becomes the mighty SHAZAM! 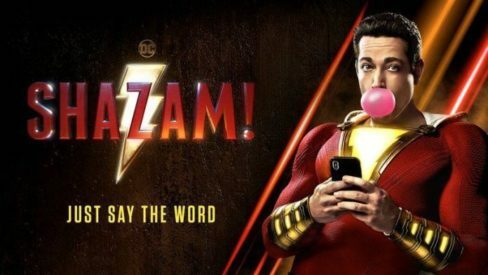 We can’t wait for the upcoming SHAZAM movie and we’re thrilled to see our pal Zachary Levi starring as the titular hero! To celebrate SHAZAM appearing on the big screen, we’ve got a big opportunity for all fans of the Big Red Cheese! Do you want tickets for you and a friend to see Shazam this Tuesday in NYC! Interested? All you’ve got to do is enter to win by clicking the link below! And of course, say the magic word! 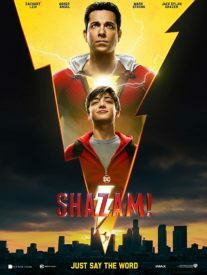 ENTER TO WIN TWO TICKETS TO SEE SHAZAM! IN NYC! Tags: DC Comics, DC Movies, SHAZAM!